If you grew up in New Jersey, or driven on the Turnpike for that matter, you've heard of Molly Pitcher. Young history buffs first learn of her as a hero of the Battle of Monmouth during the American Revolution, bravely staying on the field of battle as cannons roared around her. Fought in the area outside Freehold on June 28, 1778, the conflict was one of the largest of the entire war and certainly the biggest in New Jersey. As we learned from a recent visit, the day's weather put a woman with a pitcher in a good position to become a legend. Molly's feats vary, depending on which account of the day you hear. One story has her repeatedly bringing water to her husband and his fellow soldiers on the oppressively hot, humid summer day, keeping the Pennsylvania artillerymen hydrated as many troops on both the American and British sides succumbed to heat stroke. Another version has her taking the place of her injured husband in a gun crew of the 4th Continental Artillery Regiment. She may also have been fetching water for the cannons themselves. Their barrels needed to be swabbed after firing to clear errant sparks and spilled gunpowder, a task especially important during what was to be the most extensive use of artillery in the entire Revolutionary War. Molly herself is commonly assumed to be a woman named Mary Ludwig Hays, whose husband was part of a large gun crew. She was among the many women who accompanied the troops, cooking, repairing clothes and caring for injured and sick soldiers. Given the hectic nature of battle, it's entirely possible that she stepped in to help when a gunner was injured or suffering from the heat. We weren't thinking much about tracking Molly down when we set out to explore the battlefield's trails and interpretive markers. Portions of the battlefield are still used as farms and orchards the way they were back in 1778, leaving an impressive viewshed for you to consider from the back side of the visitor center. Miles of hiking trails, roads and field edges offer places to get some perspective on the battle. The weather was a bit raw on the day we visited, so we decided to check out the park's almost 3000 acres by car. A few roads traverse the area to make it easier to explore, but there are still plenty of wooded sections and farm fields to help you envision what Washington and his troops came upon when they marched into the area. There aren't a lot of interpretive markers along the roads, but the park map showed one not far from a small parking area just off Wemrock Road, near a rusting railroad overpass. The gravel lot was only large enough to accommodate a couple of cars, but we were the only ones there. Looking around for the interpretive sign, I saw something unexpected: a stone flanked with small faded and aged American flags. The side closest to the car clearly said "MOLLY PITCHER," with some additional printing below it. A closer examination revealed the word "SPRING" painted closer to the bottom of the stone. On the other side was more printing; though chipped by age, it manages to still say "THIS MARKER PLACED BY ALEXANDER JAS___ AND _____M D. PERRINE." Several steps away, a bramble-covered area was divided by a series of wooden planks across a small running stream. Its source was obscured by vegetation, but it seemed we might have stumbled upon the spring where Mary fetched the water that sustained several American troops during the heat of battle. I'm always a little wary of unofficial markers, but this one got me curious, especially given its condition. While the stone has seen better days and the state apparently hasn't seen fit to replace it, the presence of the flags, however weathered, led me to believe that someone's been paying at least cursory attention to it. Turns out it's been there for more than 75 years. According to the Red Bank Daily Register of July 6, 1966, the stone and an interpretive sign were placed there by William D. Perrine and Alexander Jasco, Sr. in 1938, well before the state purchased the land for a park. The sign, now missing but said to be well-maintained 50 years ago, noted "From this spring, Molly Pitcher (Mary Ludwig Hays) carried water to her husband and thirsty soldiers." What's more, there's another well or spring somewhere on the battlefield that's also claimed by some to be Mary's water source. Neither is marked on the official park map, but I suspect that if we'd wandered a bit more, we'd have found it eventually. Before we left for the day, we agreed to return to the Monmouth Battlefield once the weather gets warmer. 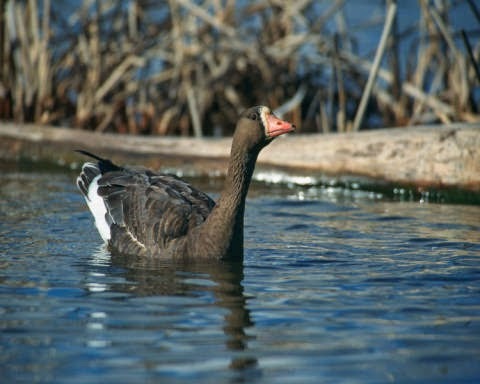 The fields and woods may just be a nice stopover for migrating birds in the spring, and the trails look promising for both good exercise and a ground-level experience on one of New Jersey's great contributions to American independence. We may even try it on one of the challenging humid days we seem to get in droves in late June and early July. 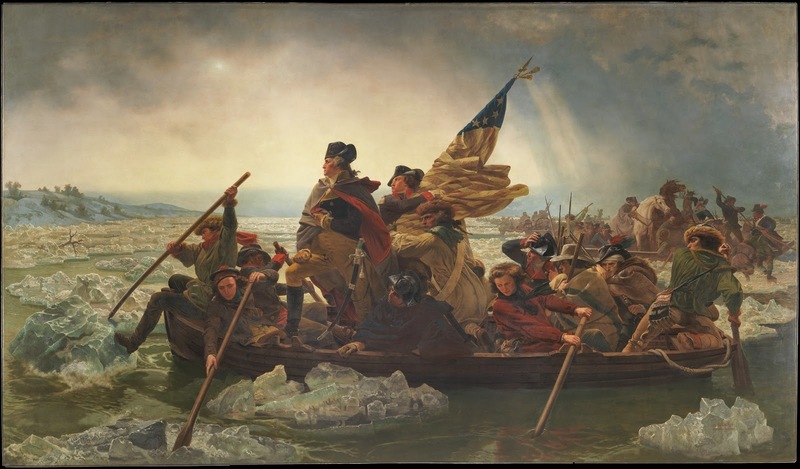 Considering the ordeal our ancestors went through to ward off the British and Hessians that day in 1778, the least we can do is leave the relative luxury of air conditioning to get a deeper understanding of what happened there. Mention the impact of women in Civil War-era medicine, and most people will bring up the name Clara Barton, but others also bravely toiled to heal injured and ailing soldiers in the field. Our resident Civil War scholar Ivan relates the story of a remarkable New Jerseyan who dedicated the last years of her life to save Union soldiers. The American Civil War evokes many iconic images, from the wise Abraham Lincoln to the heroic soldiers to the freed slaves left to negotiate a different place in American society. However, few people, even many Civil War scholars, spend much time contemplating the profound accomplishments and sacrifices of those who gave their time and effort to tending to the sick and wounded soldiers of the conflict. Indeed many more soldiers died of disease than due to battlefield wounds. For Union soldiers the ratio was about 2 to 1 and for the Confederates the ratio of those who died of disease vs. wounds was even higher. Why did this happen? Certainly the medical profession’s knowledge of germs was in its infancy. The Union Civil War Surgeon General William Hammond considered the conflict to have occurred “at the end of the medical Middle Ages.” If that was not bad enough, many soldiers entered the army fresh off the farm where they had little to no exposure to the deadly diseases of the day such as measles, smallpox and malaria. Despite her place in New Jersey society of the day, Arabella was looked upon as a very capable and determined woman. In fact, she once said, “Women rule everything and can get anything.” Such an attitude well served her husband, then a colonel, when he was wounded at the battle of Antietam in September of 1862. Having joined the Sanitary Commission earlier that year, Arabella immediately went to Francis’ side to nurse him back to health. Promoted to brigadier general two days after the battle, he figured prominently in the battles of Chancellorsville and Gettysburg where he was again wounded. Once again, Arabella cared for her husband in Baltimore and then in Somerville until he was able to resume active service in the field. Indeed, she worked so hard that she succumbed to exhaustion and fainted at her post. Only then did she realize that she had contracted the typhoid fever that eventually claimed her life on July 27, 1864. Francis was understandably distraught over the news of his wife’s death but managed to endure. He was promoted to Major General in the final days of the war and was present for the Confederate surrender at Appomattox. Arabella now lies at rest in Old Somerville Cemetery, honored by a plaque that only hints at the strength of this remarkable woman. Since we visited the Jim and Mary Lee Museum of the Morris Canal in Stewartsville back in April, I've been wondering where other, more hidden remnants of the canal's unique technology might be hiding. We may have found at least a little of it. 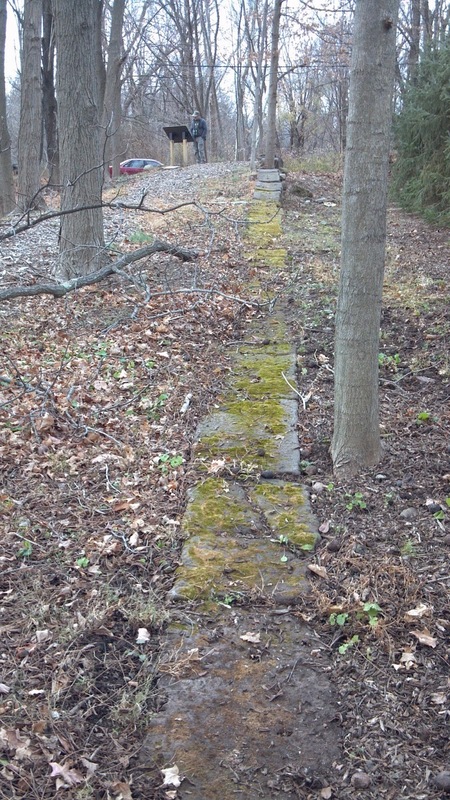 If you're not a frequent Hidden New Jersey reader or a canal enthusiast, the prospect of finding indications of century-old transportation infrastructure might not seem all that exciting, but bear with me, or take a quick read of the original story. We're talking about an important part of a system that helped drive northern New Jersey's economy in the late 19th century, left to rot until the curiosity of one man revealed it decades later. In a nutshell, the canal's 23 inclined planes were ingenious machinery that used the power of the canal's own water to lift boats onto cable carts that drew them up or down sizeable hills where ordinary canal locks wouldn't have been practical or maybe even possible. This technology allowed planners to build the canal across some of the hilliest parts of the state, rising and falling more than 1600 feet over a 102 mile route. Coal and other products could then be shipped economically along the canal from Phillipsburg to Jersey City and the New York markets beyond. Little of the Morris Canal is visible today, but for the occasional brown historic signs that mark its path through Warren, Morris and Passaic Counties. Once the canal went bust in 1924, the State of New Jersey filled in much of the waterway that wasn't appropriated for other purposes like the Newark City Subway. The flumes and towers built to power the plane mechanisms were demolished, their remains tossed into the shafts and tunnels (tailrace and penstock) that once directed water through turbines. 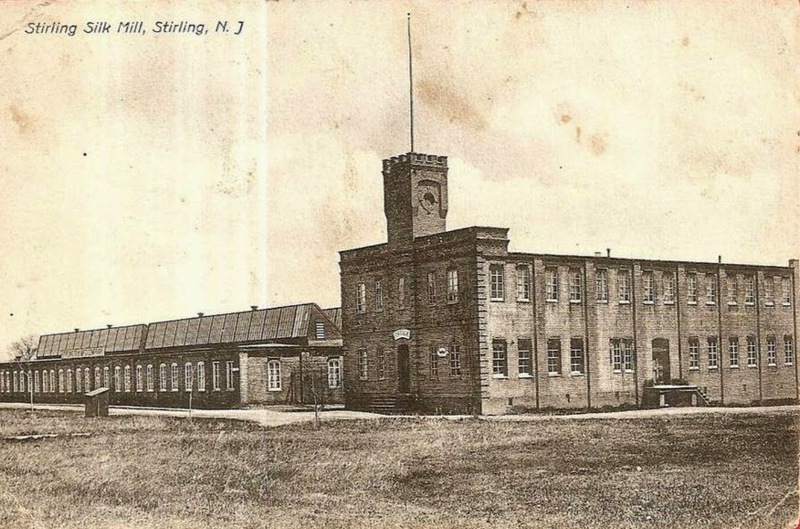 Decades later, Lee excavated the plane near Stewartsville, eventually building a fascinating museum and allowing visitors an up-close look at the tunnels where the power was generated. After learning about the plane technology from Jim Lee's descendents, we've taken note of a few of the locations where brown roadside markers note the former presence of the planes. 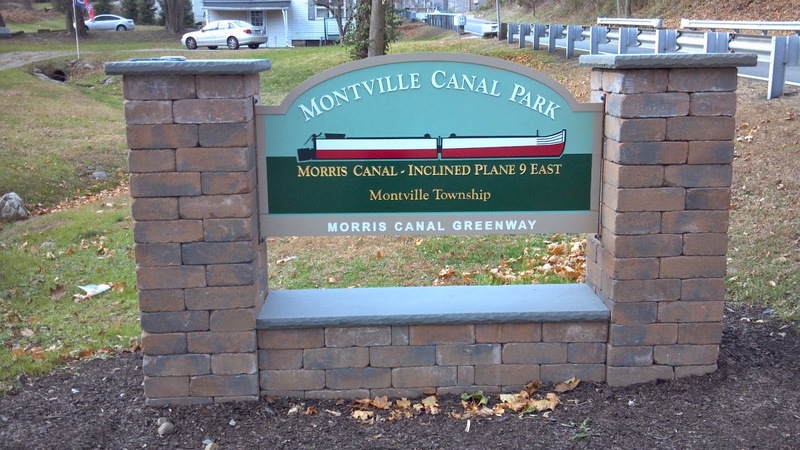 One of the locations is now marked by a welcome sign to the Morris Canal Greenway in Montville. The site hasn't been excavated, nor is there a canal museum nearby. 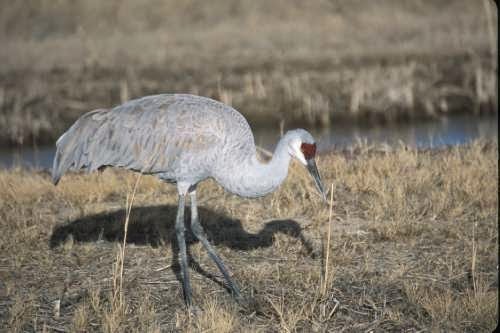 However, it's a heck of a lot more accessible to the average person, just a short drive from Route 287 on U.S. 202. Ivan recently drove past and noticed that the sign had been put up at the start of a narrow road that juts off of 202 near a couple of curves in the meandering highway. In that part of the state, 202 winds quite a bit, and at that particular juncture, enough older buildings are clustered to lead you to believe that it had been a town center of sorts many years ago. We parked in a lot next to a small office building and walked up the street to view the plane. Our lessons from the Stewartsville visit served us well: we quickly recognized the boundaries of the inclined plane, well marked with broad and thick paving stones at the edges. Though sturdy trees now grow where cradle carts once drew canal boats up the hill, we could easily envision how the whole thing worked. I was tempted to kick up some topsoil to see if any of the thick wire cables remained around the property, but there appeared to be no metal remains of the machinery left around. As I learned once we got back to Hidden New Jersey headquarters, members of the Montville Historical Society, the town's Department of Public Works and the Canal Society of New Jersey had worked for two years to clear the area of trash and illegal dumping before the park was dedicated last year. Eagle Scout candidates followed up by constructing a welcome sign and mulching the path to allow visitors to enjoy the park. 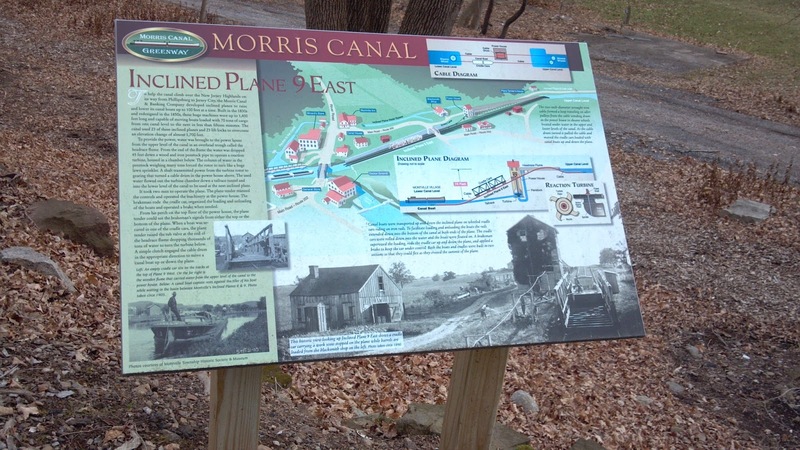 For visitors less familiar with the canal and its workings, informative historic markers at the bottom and top of the plane, explain the technology and the impact on the Montville community. Photos on one of them show a built-up commercial area where the undulating terrain forced the canal to cross the path of 202 not once but twice in about a tenth of a mile. The plane we'd discovered, it turns out, was one of two that were built in town to accommodate the canal's hilly path there. This one alone elevated canal boats more than 70 feet in altitude in just a matter of yards. The Montville Canal Park doesn't have obvious borders or parking, and several houses are nearby, so if you stop by to visit, be sure not to wander too far afield. That said, I couldn't help but wonder whether any of the neighbors have considered taking Jim Lee's lead. To my knowledge, nobody's tried to excavate the powerhouse shaft or the tailrace tunnel that once let water back out to the lower canal. What an adventure that would be! New Jersey was fertile ground for the development of the steamboat industry, whether in Nicholas Roosevelt's side-mounted propulsion wheel or Cornelius Vanderbilt's ferry operations between New York and New Brunswick. And, of course, there was John Stevens, who established the first steam ferry operations between Hoboken and Manhattan. One man, however, beat the rest of them to the punch, however imperfectly. 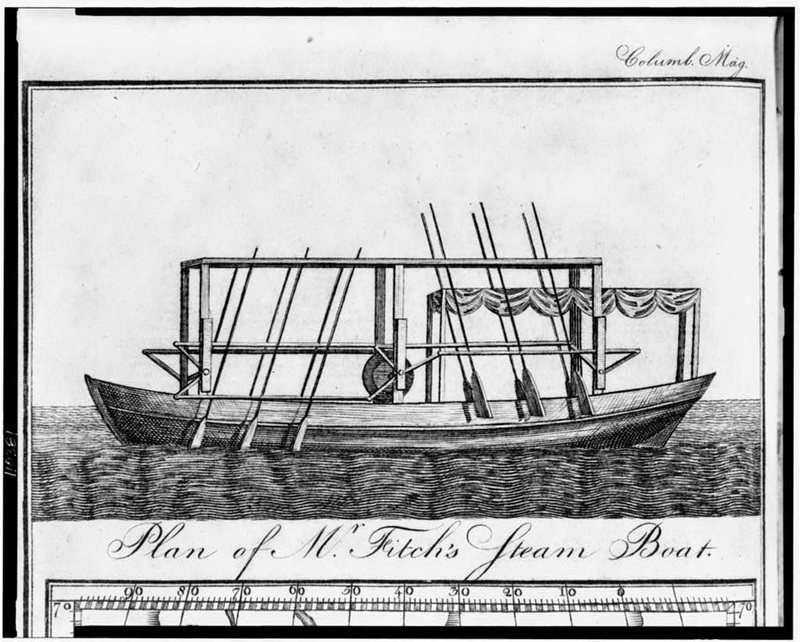 In 1787 John Fitch proved that a boat could be propelled by steam engine, using a series of interconnected oars to row through the water. Why, then, do we hear so little about Fitch and much more about Robert Fulton and his steamboat Clermont? Fitch, as it turns out, is a classic case of a creative mind whose personality appears to have gotten in the way of his success. Born in Connecticut in 1743, he had little formal education but studied astronomy, math and geometry on his own as he tried to forge a work life that suited his interests. He attempted an apprenticeship as a clockmaker without much success before eventually making it to Trenton as a silversmith, losing his business during the British occupation of the city in 1776. He briefly served as a gunsmith to the New Jersey militia after losing his commission in a dispute, and also provided beer and other supplies to troops at Valley Forge. By the end of the war, he was surveying land in the territory that eventually became Ohio, where he was captured by Native Americans and turned over to the British. Following his release from captivity, Fitch came back east to Pennsylvania to work on his ideas for a steam-powered boat. Collaborating with clockmaker Henry Voigt, he developed a proper steam engine and installed it on a boat outfitted with mechanized oars on port and starboard sides. Hoping to get funding or an endorsement from the federal government, he invited members of the Constitutional Convention to the 1787 demonstration on the Delaware. Many attended and were impressed as the boat moved forward an a slow but respectable three miles an hour. However, no backing was forthcoming. Why is John Fitch not known as the inventor of the steamboat? There seem to be a few factors at play here. First, his invention came at a particularly inauspicious time in the development of the legal system in the United States. The Federal patent office had yet to be created, leaving intellectual property protection to the individual states. That meant an arduous trek to the capitols of all of the states, or at least those where competition or theft of his idea was most likely. He brought a working model of the boat, hoping to impress the legislatures and the scientific community with the genius of his design. Perhaps more telling, he doesn't seem to have had the right personality. He was either a bad salesperson, or maybe he just rubbed people the wrong way. During his 1786 tour, he got less than encouraging feedback from Philadelphia's American Philosophical Society, where Benjamin Franklin held sway. The Virginia legislature was unimpressed, favoring the design of its native son inventor James Rumsey, who'd already secured George Washington's endorsement. The only place where he seems to have gained some sway is New Jersey, which granted him an exclusive 14-year franchise to build and operate steamboats. That endorsement in hand, he built the full-sized boat the Constitutional Convention observed in 1787. By 1788, Fitch had received patents from Delaware, New York, Pennsylvania and Virginia and had attracted sufficient financing to build a new boat that ran the route between Philadelphia and Burlington. Two years later, a third boat was running between Trenton, Burlington, Bordentown, Wilmington and Philadelphia, a route that appears to have made as little sense to potential customers then as it might today. He may have created mechanically-sound equipment, but he seems not to have had a very strong understanding of market forces or customer demand. Stagecoaches could still reach his destinations faster, despite the steamboats' improved speed of eight miles an hour. Rather than seeing his craft as viable transportation, many viewed it as a curiosity or a stunt. His company was soon out of business. When Fitch finally received his federal patent in 1791, he was infuriated to learn that Rumsey's design had been recognized by the patent office as well. Rather than getting the patent for the steamboat concept, it was for the particular design, as was Rumsey's, leading Fitch's investors to abandon him for other opportunities. Additional attempts to secure funding -- this time in Europe -- and demonstrate his newly-conceived steamboat innovations met with indifference, further angering him. Giving up hope on the steamboat, he headed west to Kentucky in 1796, apparently hoping for a better reception there. He got none and died within months of his arrival, some say of poor health, others say of worse. According to some reports, he struck a deal with a tavern operator to provide him with room, board and a pint of whiskey a day in return for a few hundred acres of land. He planned to drink himself to death. When that didn't work, he committed suicide with an overdose of opium. 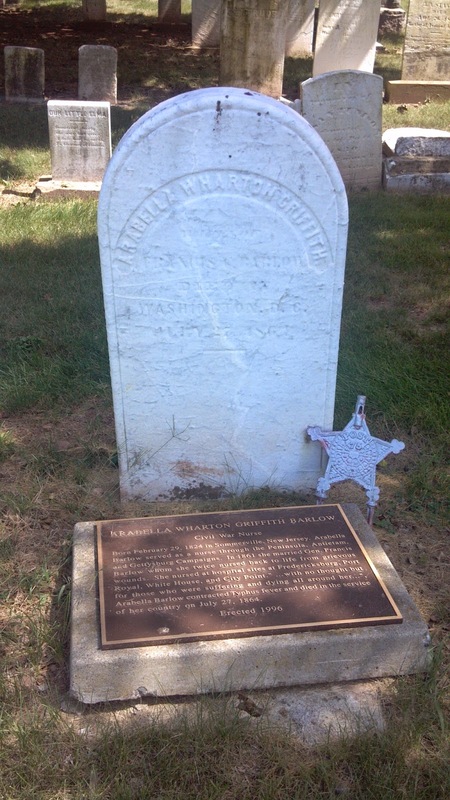 He's buried in Beardstown, Kentucky, his grave marked with a modest military stone that notes his Revolutionary War service. He was moved there from his original pauper's plot through the actions of the John Fitch chapter of the Daughters of the American Revolution. Some sources claim that Fitch endured bipolar disorder, that his emotional extremes fueled both his creativity and the less admirable personality traits that drove away investors. What is known is that inventing is a difficult trade, with people of many temperaments and similar ideas often competing for the ultimate prize. It's possible that if Fitch had possessed Fulton's ability to make steam travel more economically viable, he'd have been better able to capitalize on the technology. Fitch's onetime hometown of Trenton recognizes what many of his contemporaries may not have: his genius and perseverance. The first of two memorial boulders was placed at the site of the Old Wharf along the Delaware in Fitch's name in 1921, with the nearby highway rechristened John Fitch Way from the site to Assunpink Creek. Newark has attracted more than its share of creative thinkers who've made huge contributions to their professions and industries. As we learned earlier this year, scientist James Jay Mapes revolutionized agriculture through experiments on his farm in the current-day South Ward. The prolific Seth Boyden had his own lab in Newark to develop new methods of producing patent leather and malleable iron. And, of course, New Jersey's most prolific inventor, Thomas Edison, set up shop in the city before moving operations to the more rural Menlo Park. A less likely Newark inventor came to mind on my recent stop at the Plume House, now more familiar to Newarkers as the rectory of the Episcopal House of Prayer. Reverend Hannibal Goodwin lived in the home during his service as the church's rector from 1867 until his retirement in 1887. No doubt he served the congregation well, but he's better known for his work outside the ministry. 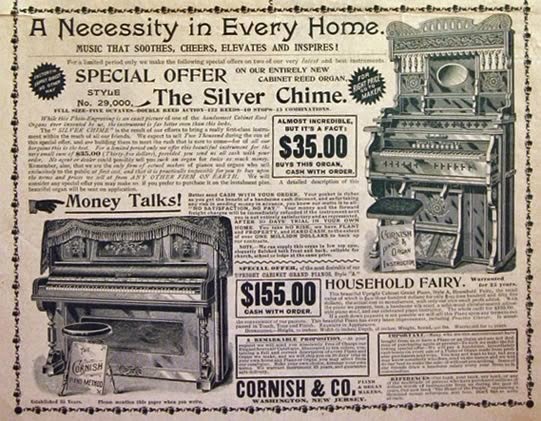 Like many inventors, Goodwin was driven by a problem in need of a solution. Wanting to make Bible lessons more interesting to his congregants, he started using images printed on glass plates, projected through a stereopticon or "magic lantern." The plates were subject to cracking and breakage, leading him to seek out another transparent material that would be more flexible and immune to damage. Rev. Goodwin took to the workshop and lab he'd assembled in the attic of the Plume House, looking for a solution. He wasn't a chemist by training but taught himself sufficiently to work on a solution without blowing the roof off the rectory. Newark was already becoming a center for the development of plastics, but apparently none with the properties Goodwin sought. Celluloid pioneer John Wesley Hyatt had relocated to Ferry Street in Newark in the 1870s to manufacture false teeth, billiards balls and other durable solids, but apparently hadn't seen the potential for photographic use. Amateur photographer Rev. Goodwin did. After some experimentation, he developed cellulose nitrate photographic film, also known as flexible celluloid film. House of Prayer: birthplace of flexible film. Goodwin quickly realized that he hadn't just solved the problem of cracked Bible illustrations, he'd also opened the door to a new trend in photography. Upon his retirement from the Episcopal church in 1887, he filed a patent application for a "photographic pellicle and process for producing same," noting that the invention was for a "transparent sensitive pellicle [membrane] better adapted for photographic purposes." Though he was first to the U.S. Patent Office with the concept, Goodwin's application wasn't immediately accepted. His lack of formal training as a chemist showed in the lack of detail and need for further clarification and amendments. Meanwhile, others, including George Eastman, came forth with more nuanced and complete petitions for patent. By the time Goodwin was awarded the patent in 1898, Eastman Kodak had been manufacturing and selling flexible film using its own processes for several years. Goodwin unfortunately lost the opportunity to make up for lost time. Patent in hand, he incorporated the Goodwin Film and Camera Company in 1900 but died in a street accident before production started. His wife sold the company to Anthony and Scovill (later known as Ansco) which sued Eastman Kodak for patent infringement. 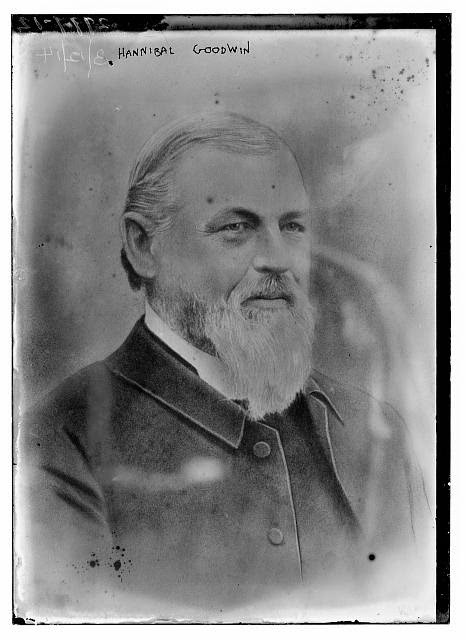 After more than a decade of dispute in the courts, Goodwin's rightful place as inventor of flexible film was confirmed. Consider that within the radius of just a few miles, New Jersey holds three locations crucial to the birth and growth of the film industry: the attic of a small Dutch colonial house in Newark where the film itself was born, Edison's West Orange lab where the motion picture was invented, and Fort Lee where the studio system grew from infancy to a major industry. Rochester, Hollywood, eat our dust! People sometimes tend to forget that New Jersey's largest cities are among our oldest. Take, for example, Newark. Gleaming new buildings are being constructed along Broad Street downtown, but if you look carefully around the city, you'll also see sandstone structures that were built before the American Revolution. One of the oldest, if not the oldest, stands precariously between an Episcopal church and an overpass for Interstate 280. Built around 1710, the Plume house is remarkable for more than its age. Originally, I stopped by to track down its 19th century acclaim as the birthplace of an new technology that spurred the development of the entertainment industry. Then I discovered that it has the distinction of playing a small but telling role in the American Revolution. Today, we'll focus on that part of its history. 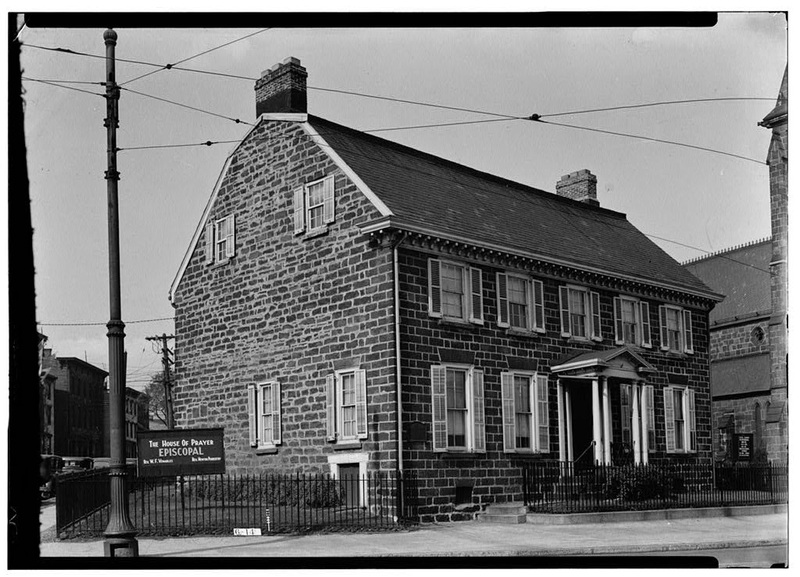 The land on which the sandstone house sits was deeded to early Newarker Samuel Plum in 1673 as part of the original partition of the region. A large farm with orchards, it was then well outside the heart of Newark, which was far smaller than it is today. Annetje Van Wagenen Plume came to live at the house after her marriage to Samuel's grandson, Isaac Plume, in the mid 1700s. Together with Isaac's children and their mutual offspring, the pair kept the farm going until 1776, when Isaac joined the patriot cause as part of the Essex County Militia. Ann and the children were on their own during the winter of 1777, when Hessian troops made their way to Newark after the Battle of Long Island. Located on the northern edge of town, the Plume farm and homestead was an easy and quick target. Hungry from the march, the enemy troops pushed their way into the house, demanding food for themselves and their horses. Washington's troops had already retreated westward, leaving the area undefended and the Hessians emboldened. Figuring they'd encounter little resistance, they rummaged about the house, but when they started chopping her furniture for firewood in the main room, Ann had had enough. According to legend, her demands that they stop were countered by an officer's threat that he'd shoot her unless she shut up and left them alone. Angered, she let loose what was then a raunchy phrase for what might have been termed a proper woman: "Ram's horn if I die for it." The officer laughed in surprise and relented, telling his troops to move out to the yard. Ann's frustration grew the longer the Hessians stayed on her property. A few days after the wood chopping incident, she saw a chance for revenge. Noticing one of the soldiers venturing into the ice house for some fresh milk, she quickly shut the door behind him and barricaded it. Muffled by the thick walls of the ice house, the soldier's protests and cries for help went unanswered by his comrades, who left in haste the next day when rumor spread that Continental soldiers were on the way. As the story goes, she turned the milk thief over to the Jersey Blues a few hours later, receiving his metal helmet as a reward. Even without her daring during the Revolution, Ann was a remarkable woman for her time, having inherited substantial land holdings from her father. All of the properties became Isaac's at their marriage due to estate laws of the time, but she regained them all after his death in 1799. As a property-owning widow, she was entitled to vote before the right was taken away from women in New Jersey in 1807. By the time of her death in 1816, she was worth more than $100,000, a significant sum for the day regardless of one's gender. Virtually since we started exploring, Ivan's been extolling the virtues of a a certain type of stone that's rarely found anywhere but a small part of Northern New Jersey. Here's his account of this remarkable, rustically-beautiful rock. When we think of hidden New Jersey, we have come to consider the historic buildings, the out-of-the-way natural areas or long departed personalities that graced, or still grace the Garden State. However, perhaps the most hidden aspect of the state is the bedrock that sits many yards below our feet as we explore the “surface” Jersey. 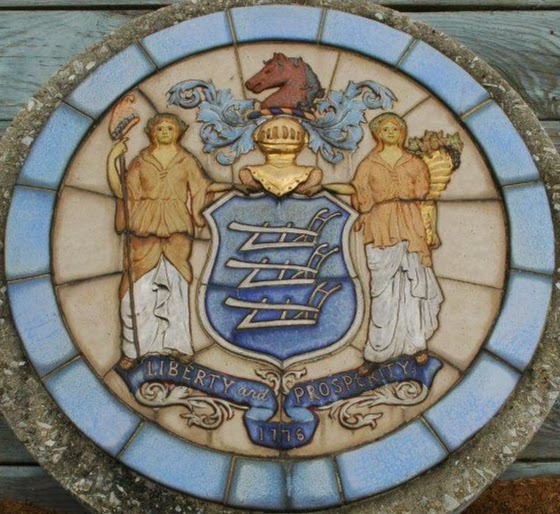 Geologic history has literally shaped our state with much of the area north of the Raritan Bay made up of rock that dates back to a time that predated the dinosaurs, while the southern part of the state consists of sediments that were deposited long afterward. Occasionally some “buried treasure,” in the form of distinctive rock formations, finds its way to the surface as a result of erosion or modern day construction. Glaciers have also exposed some of the state’s foundation or have transported rocks from one location to another. A famous example of these out of place rocks (known as glacial erratics) is Tripod Rock in Morris County. A frequently found glacial erratic in the Montville and Boonton area is a distictively attractive rock known as Green Pond conglomerate. It's part of a larger rock formation that stretches from the New York State Thruway southwestward all the way down to Route 80 in Morris County. Alternately, it's known as Schunemunk puddingstone after another of its locations, on New York's Schunemunk Mountain. 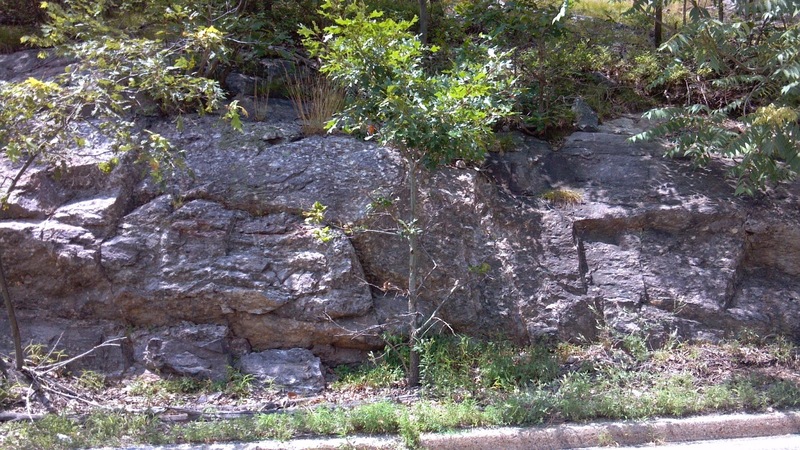 The United States Geologic Survey website has a page dedicated to Green Pond Conglomerate so I have no problem claiming this rock formation in the name of New Jersey. A conglomerate is a rock that consists of a matrix that has pieces or fragments of other rock (known as “clasts”) mixed in. “Puddingstone” is a more colloquial expression that refers to this uneven mixture of rocks. In the case of Green Pond Conglomerate, the matrix is a reddish purple siltstone with white quartz fragments as its clasts. What I had found out however, is that these erratics are not far from home. They originated as a formation in Green Pond, a section of Rockaway Township. The matrix consisted of a reddish silt or clay that eventually hardened into rock during the Silurian period about 420 million to 445 million years ago. There the rock sat minding its own business until about 50,000 years ago when the Wisconsin Glacier slid across what is now New Jersey to slice off chunks of our hero to deposit the fragments across northern Morris County. Over the years, Green Pond Conglomerate has been prized for its decorative qualities and has been used to construct stone walls and other landscaping and construction features on many residential and commercial properties. However attractive it looks as part of these structures, I recently had an interest in finding it where it originated so Sue and I took a ride to Green Pond to find the mother lode. Turning off Route 23 in Newfoundland onto (what else?) Green Pond Road, we could easily see the imposing ridge of Bearfort Mountain to our west. The ridge paralleled Green Pond Road, as we traveled south, so whenever we saw a side road to our right we turned in hopes of getting closer to the ridge that must have been the source of the conglomerate. We soon found ourselves in the Green Pond, a lake community that sits on the shore of… you guessed it: Green Pond. Luckily, we found a small dirt parking lot that serves a trailhead. A friendly homeowner was seeing to her flower garden and was happy to let us know that the conglomerate could be found in the area. Unfortunately, we weren’t dressed for hiking so we passed on a trip along the trail but we could see a characteristic color to the ridge in that area. Even better, however was when we continued south on Green Pond Road and found a large outcropping of the conglomerate evident as a result of the cut that was made to construct the road, itself. 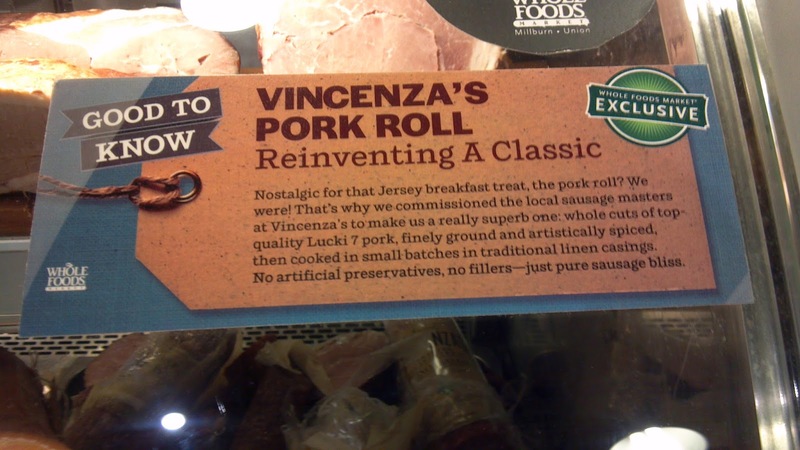 We had found the origin of the rock formation that bears the name of one of New Jersey’s own communities. It was certainly worth the drive.